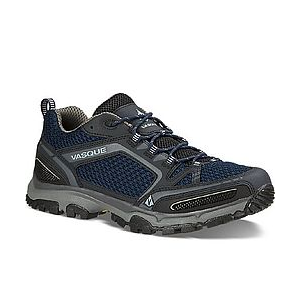 Vasque Footwear Inhaler Low GTX Hiking Shoe - Men's-Black/Pesto-Medium-8 07304M080. The Vibram Pneumatic sole with Megagrip rubber plus permeable heel and toe counters keeps your mission energized. 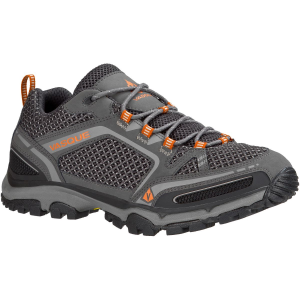 When temps start to climb, keep pushing to the peak with the help of the Vasque Men's Inhaler Low GTX Hiking Shoe. 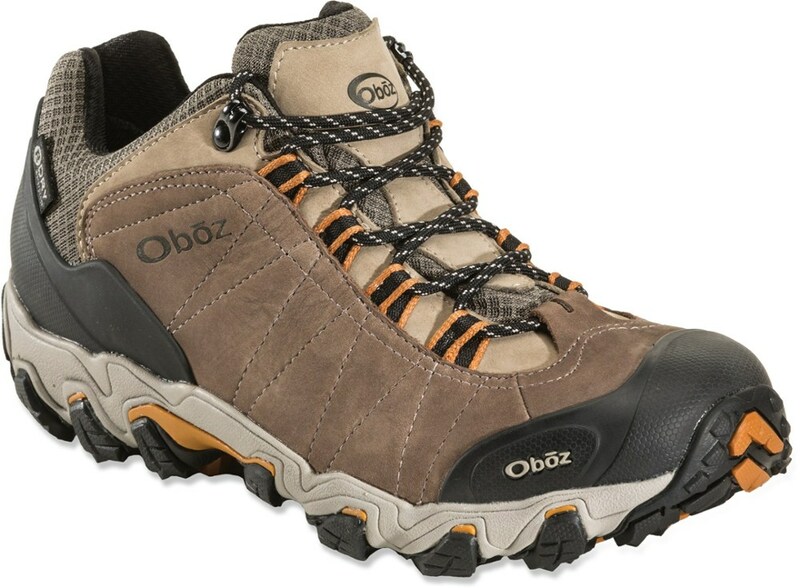 Its mesh upper panels push heat out and welcome fresh air in to keep you cool and comfy when the heat is on, and the shoe still provides the support and grip you need when you're crossing rugged terrain. Gore-Tex allows maximum breathability while providing a waterproof barrier. The dual-density EVA footbed and EVA midsole cushion your steps on rocky trails and provide a responsive feel to reduce foot fatigue. The Vibram outsole features Megagrip rubber for sure-footed confidence when you're balancing atop an exposed ridge, and it's durable for long-lasting performance. 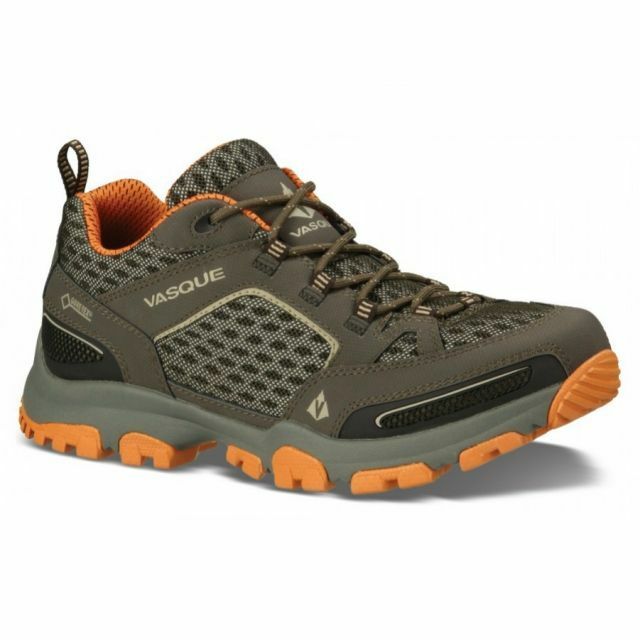 With Gore-Tex waterproof protection, the Vasque Inhaler Low GTX hiking shoes offer ample ventilation through 3D mesh panels in the leather uppers, pushing heat out and drawing fresh air in. 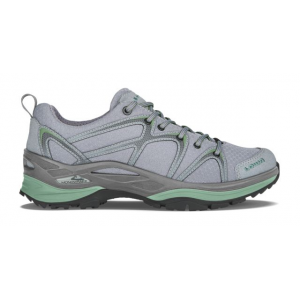 The Vasque Inhaler Low GTX is not available from the stores we monitor. It was last seen February 9, 2018	at CampSaver.com.